The lovely Lauren Orsini at my side. 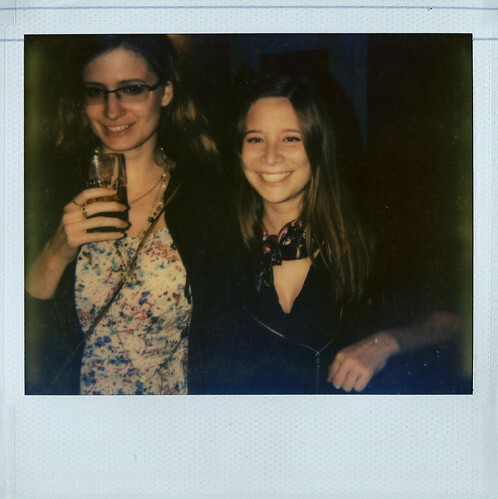 Polaroid taken by Fernando Alfonso, also a fellow Daily Dot writer. Yes, I know it is also Freddie Mercury’s birthday. Considering all the digital love he’s gotten (which he deserves, don’t get me wrong, even if he is dead), I thought I’d share with who ever is reading this blog my favorite videos of Welch. If you don’t know who she is, go skim her wikipedia page first please. I first came upon Rachel Welch, like most of America, when I watched One Million Years B.C. (Starting the Earth’s Children book series in Junior High will do that) It is only fitting that I begin this video list with a compilation of her from One Million Years B.C. I don’t expect you, dear reader, to watch all of the above video, but I do expect you to watch all of the one below. It’s only 3 minutes long, and while there is no dialog until the very end, I can promise it is engaging. It’s literally one of the best fan compilations on YouTube.